BELLAIRE, Texas – The wrecking ball is rolling toward a 68-year-old shopping center with a parking lot studded with big, mature oak trees. The existing Bellaire Town Center has all the trappings of a shopping center built in another era: a two-story property with a microscopic set-back from South Rice Avenue. Most of the tenants interviewed recently say they would prefer to reinvest in their current spaces. But the center’s owner, SDI Realty Advisors, says its time to go bigger and better – demolish and replace the center. The existing 37,000-SF center will be torn down and replaced with a 72,000-SF project. In the new space, first floor leases begin at $42-$46 per SF. Second floor leases will begin at $30 per SF. 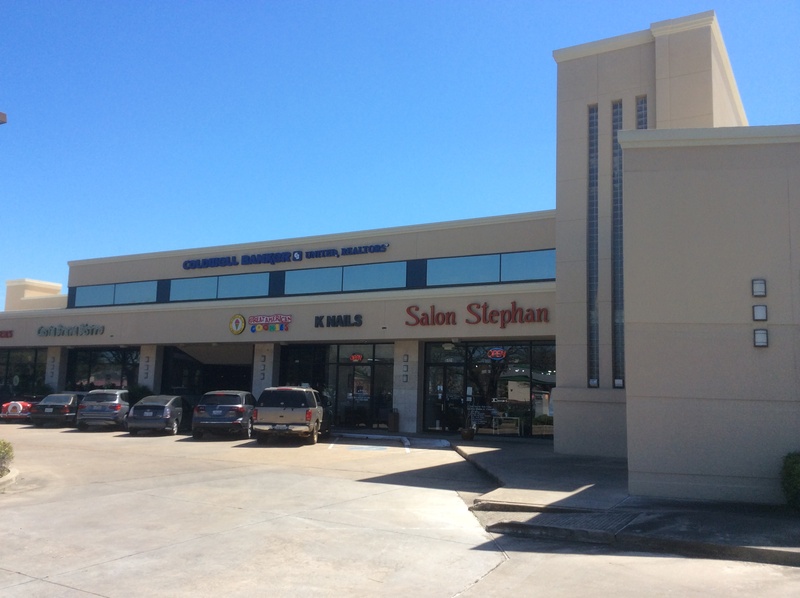 The center, located on Bellaire Boulevard in the city of Bellaire, has strong demographics for retailers. Bellaire has thousands of affluent residents living in million-dollar homes. At least two of the existing tenants are ready to move into the new building. The Costa Brava Bistro, 5115 Bellaire and Lemongrass at 5109 will move into one of three new buildings in the center that are set to begin construction later this year. “Our customers know where to find us here,” says chef Srifah Vorarittinapa of Lemongrass, which opened in 2004. Angeles Dueñas and Kitty Bailey, co-owners of Costa Brava Bistro in Bellaire, are excited to announce their participation in the redevelopment project of their current location at Bellaire Town Center. SDI Realty Advisors owns the vintage center ,which was built in 1949 by the William G. Farrington firm. About the same time, HISD was putting the finishing touches on the nearby Pershing Junior High, which was also torn down recently and replaced with a new school. For most of the life of the center, a bank has anchored the Bellaire Town Center. At first, it was the First State Bank of Bellaire, which eventually sold to First International Bank in the 1970s. As times got tough in the 80s, First International replaced with NCNB, then Nations Bank and Bank of America. Lastly, Community National Bank took it over in 2002 and CNB merged with Prosperity Bank in 2012. To date, no bank signing has been announced for the latest version of the center. The new center will be leased by Edge Realty Partners. Phase I consists of a 17,000 SF building while Phase II is expected to open in fall 2018. The first phase can accommodate existing tenants in a seamless way with little disruption. Edge Principal Josh Jacobs and Senior Associate Lauren Heimann are marketing the property. “We have had inquiries to fill three times the space we’ll have,” says Heimann. The trend for higher rental rates faces retailers in all parts of the city. Rising rents and changing times can pressure tenants. It’s the same for the 900 SF Christian Science Reading Room, which has operated at the Bellaire Town Center for more than 26 years and is now facing a big rent hike. Construction is starting in the Bellaire Town Center. The new tenant mix won’t be the same. And the fate of the center’s big, mature oak trees will soon be visible.